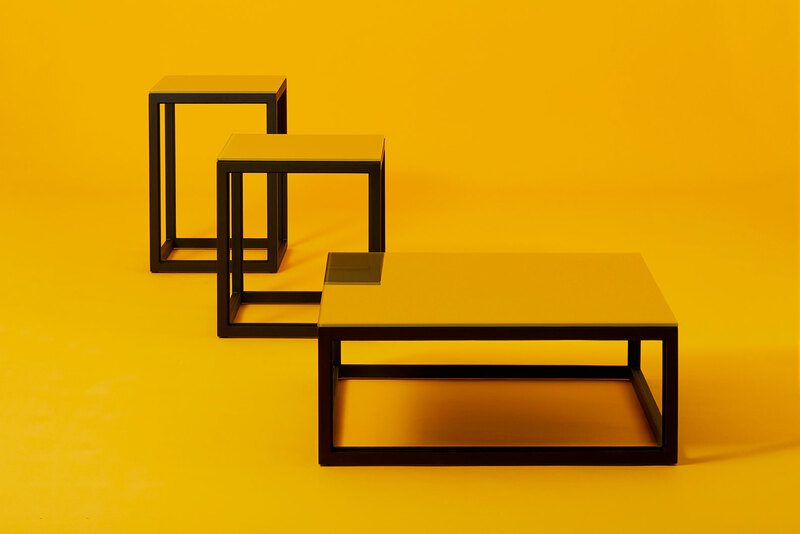 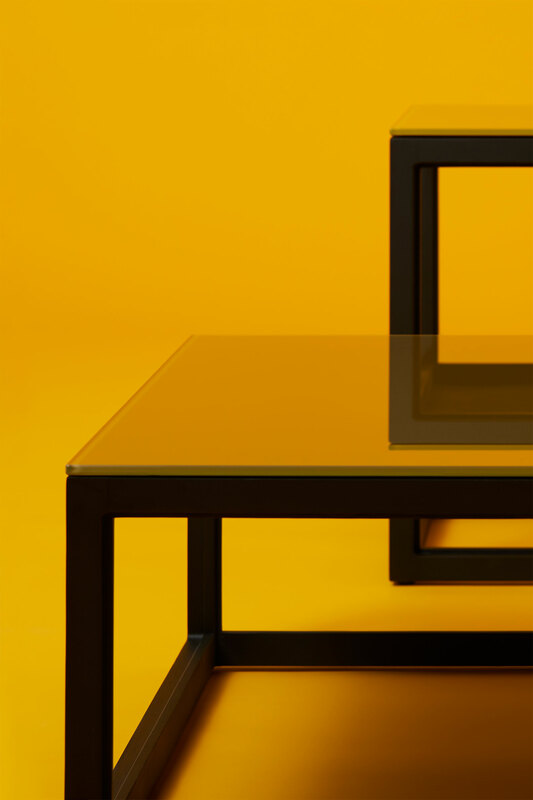 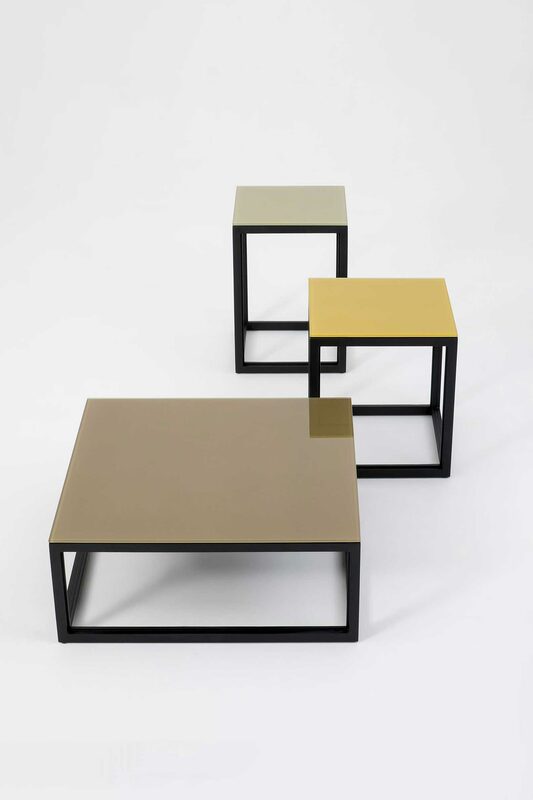 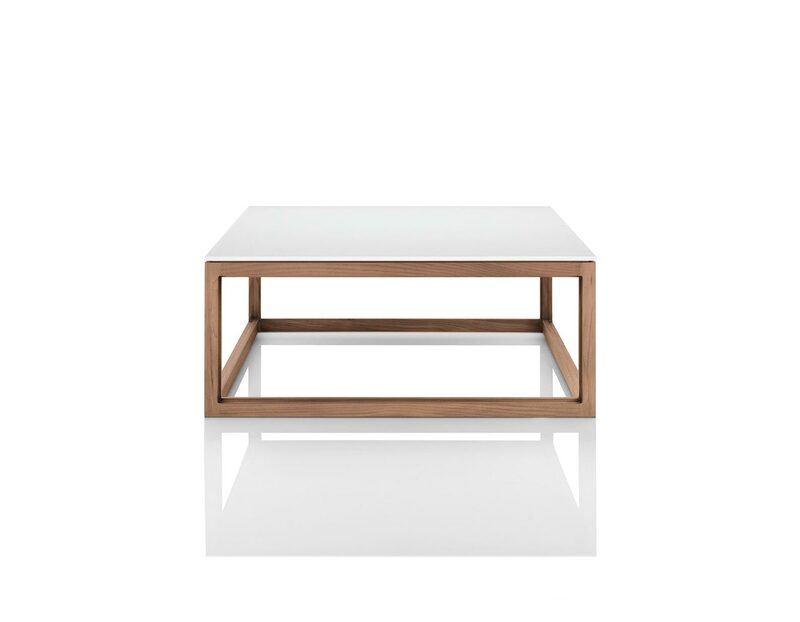 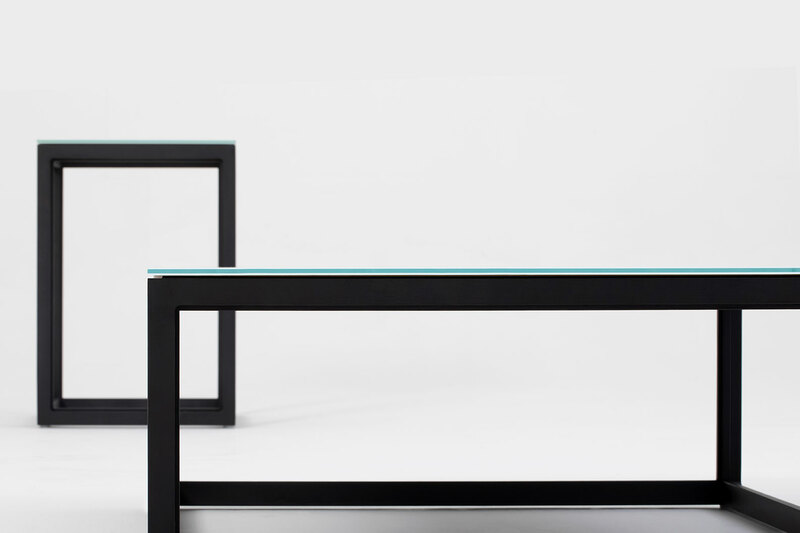 The range is made up of three sizes of table; a low coffee table and two side tables. 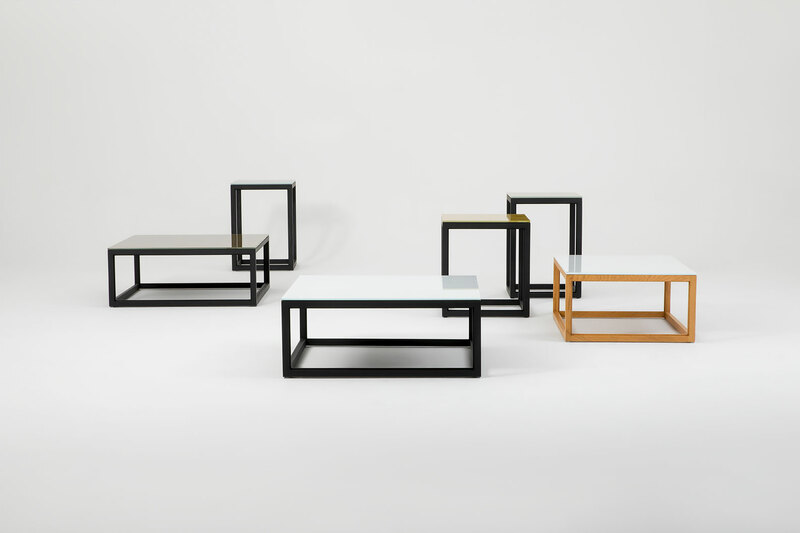 The proportions are considered so they work as a group as well as individually. 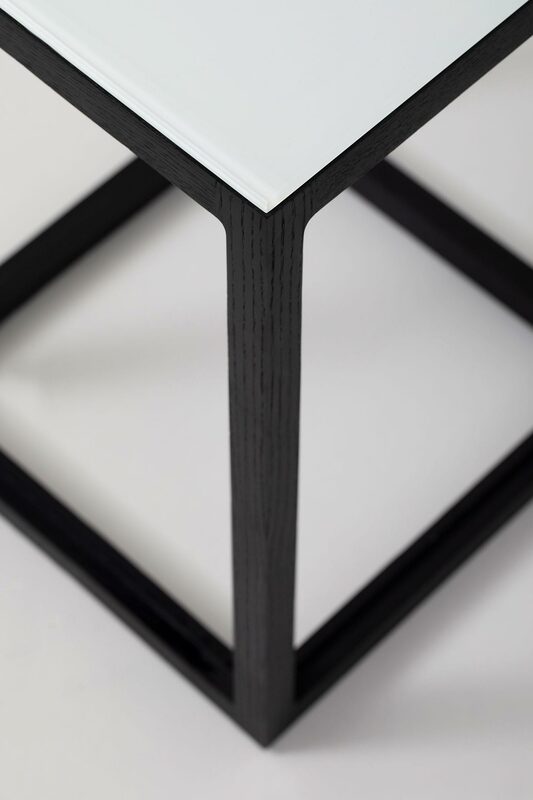 The principle of the frame is straightforward, but with the addition of the essential rebate detail, it acquires character, finesse and individuality. 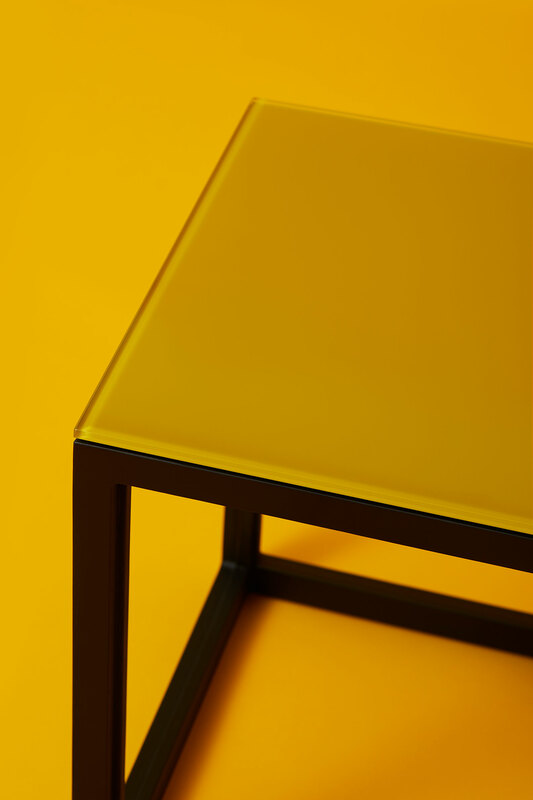 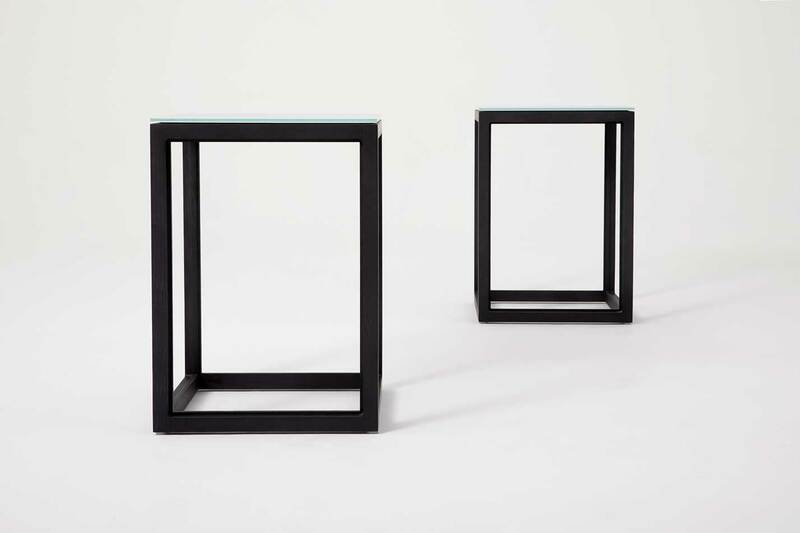 The frame is contrasted with a thin glass top in various colours, spaced off the frame.